Let us bring equipment demos, training, and field support directly to you. Would you like to try StoneAge equipment before you buy? Our demo trailers bring industry-leading automated equipment and waterblast tooling to your location for demonstrations, training, and job support. 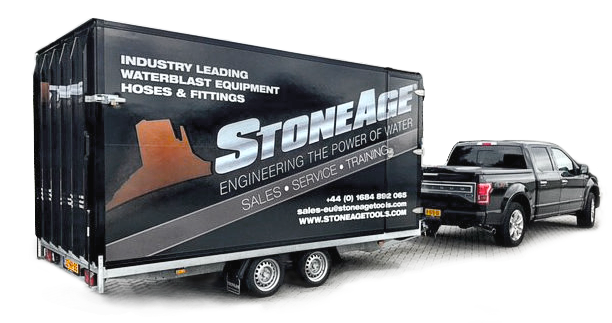 StoneAge techs are happy to share their expertise, help you select the right equipment, show you how to run it, optimize for the specifics of your job, and cover all recommended safety procedures. Experience the power of StoneAge equipment — on location.